Meet and Greet Ticket holders: Doors open for you at 5:15pm. Parking attendants will direct you on where to enter the venue. You will be provided a delicious meal from Above and Beyond Catering and ice cream from Brusters of High Point! You will have reserved Gold Circle Seating during the event. 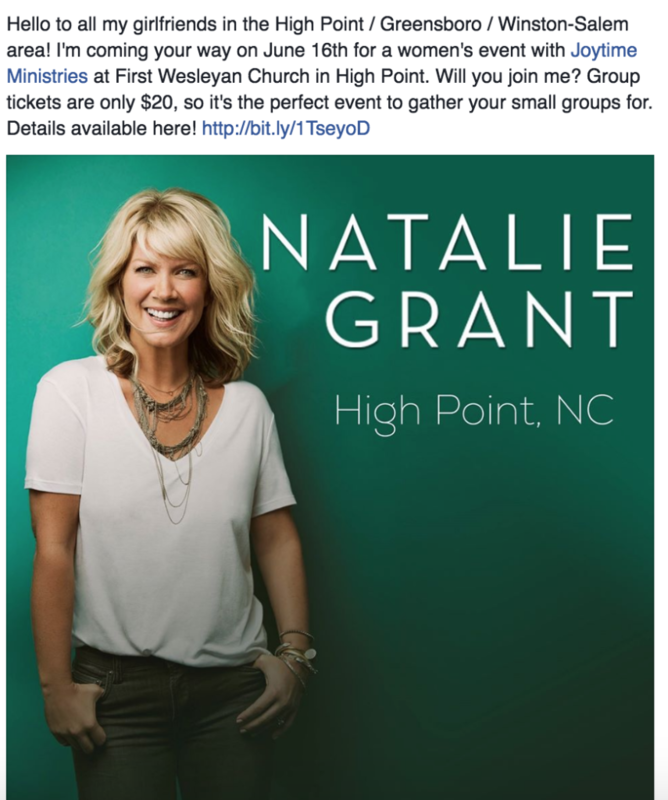 You will have photo opportunities with Natalie and Joy so bring your cell phone/camera! Right now, we do still have limited tickets available for purchase at the door for $25.00!